A donation helps to create and preserve the health and legacy of an organization. It is a way by which people can support our mission of enriching the lives of USAF members through high-quality Aikido practice. 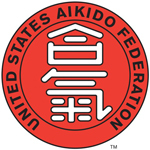 The United States Aikido Federation (USAF) is a 501(c)(3) non-profit organization. As a small organization, we rely on membership dues and testing fees to sustain our efforts in overseeing the practice and instruction of Aikido as established by Hombu Dojo, the founder Morihei Ueshiba, the current Doshu Moriteru Ueshiba, along with our Technical Advisor and Chief Instructor, Yoshimitsu Yamada. We are incredibly grateful for our community of dedicated Aikidoka, dojo cho, and instructors for their teaching, their practice, and their dedication to Aikido and the USAF lineage we value so much. All donations will help the USAF continue to maintain its high standard of technical Aikido and its efforts to support and enhance the experience of its instructors and their students. No donation is too small; every donation is greatly appreciated. As a non-profit, (under the 501(c)(3) terms of the Internal Revenue Code) – all donations to the USAF are 100% tax-deductible.